Mandalas have long been a favorite of mine—etched, embroidered, drawn, painted, inked, done with full focus or my eyes half-shut. 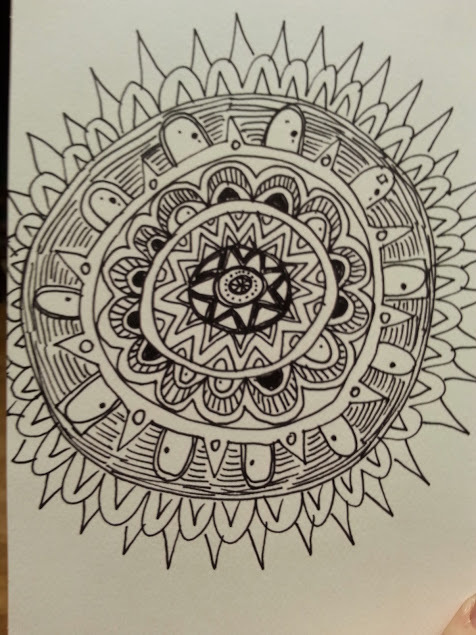 Mandalas are good medicine for a lot of troubles, very meditative and methodical—even when asymmetrical. There are many collections of mandalas to be found online, and I admire them for their symmetry and precision. There may be some drooling, yes. And how cool is this coloring book? Wow. I don’t use a circular template (which has rather small circles) or a drawing compass, because freehand makes my heart sing. 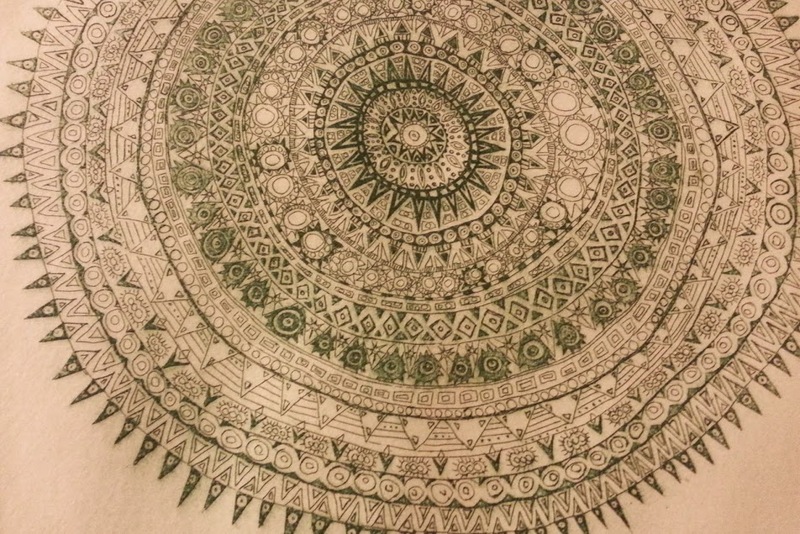 I’d go slightly insane if I tried for mandala perfection, so I enjoy artistic irregularity to the fullest. 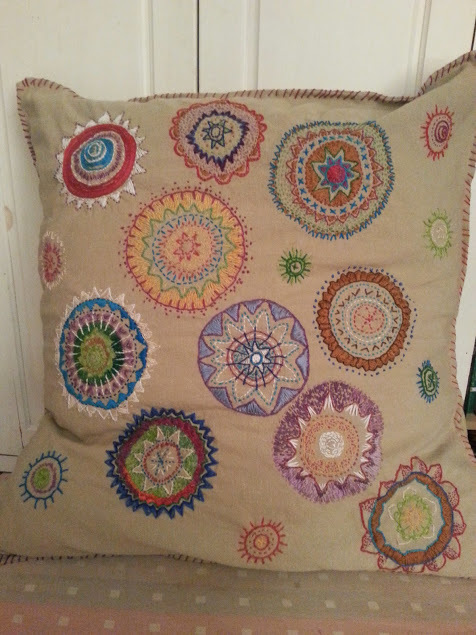 I was happily surprised to find other beautiful mandalas that are freehand. Aside from recent embroidery projects, the majority of my mandalas have been monotone, usually black ink using Koh-I-Noor Rapidographs—my best friends for many years (in a totally not sad way). 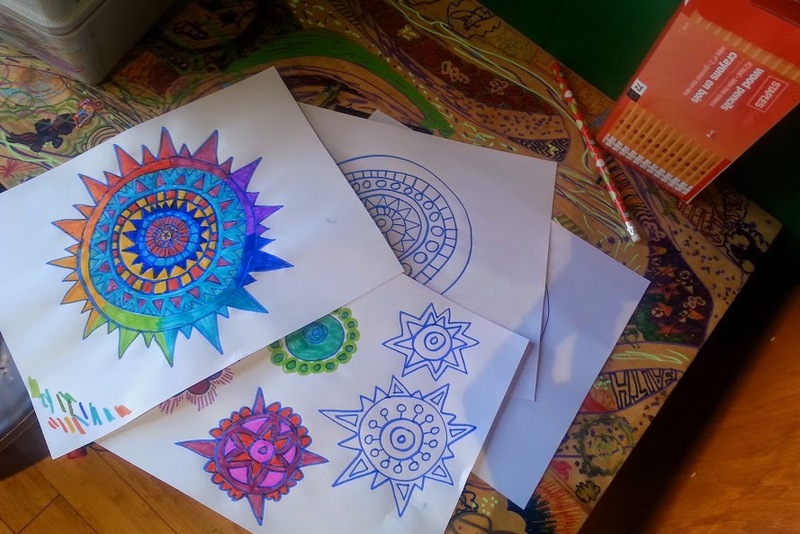 But for the Art Club session on mandalas, I’m working on samples that would have pleased every person (there were a lot) during my teen years who said “Why don’t you try color? Just a little wouldn’t hurt, right?” That I like black ink never seemed to make an impression. Ah well. 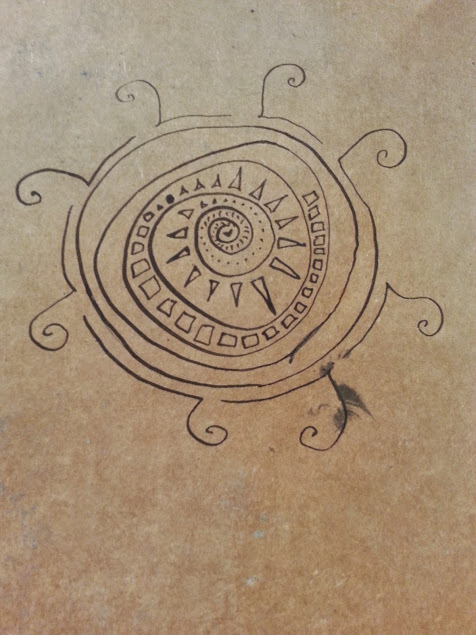 Tagged as art club., drawing., embroidery., etching., mandala., Rapidograph., sewing.